New Listing at Kings Crossing! Kings Crossing by Cressey. The highly coveted and UNIQUE 1 bedroom + den (D Plan) offering unobstructed eastern views out towards the Fraser River. 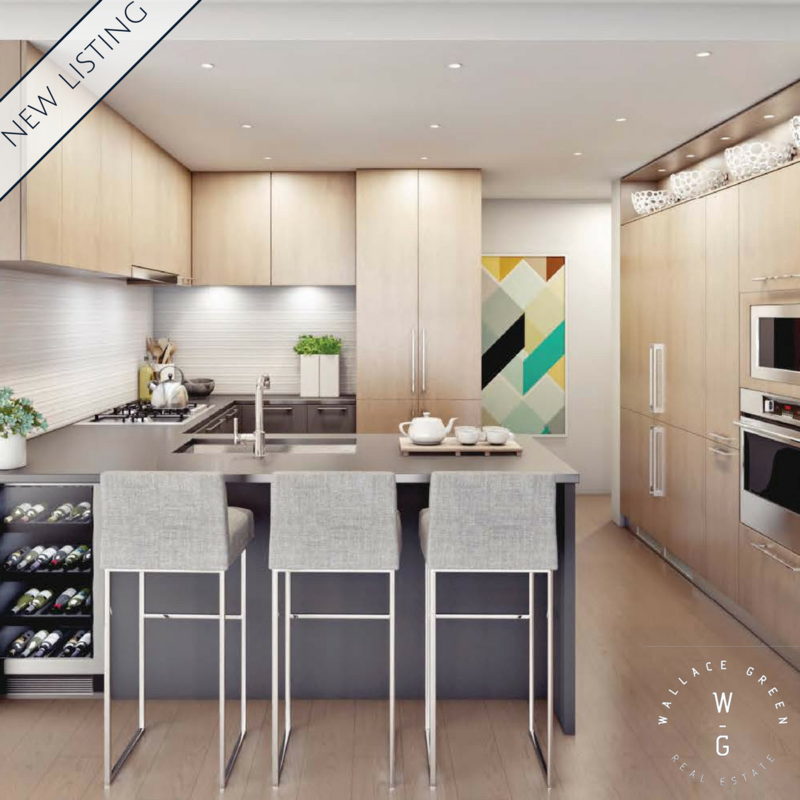 High end finishes including the popular Cressey Kitchen design with integrated double door refrigerator, 5 burner gas cooktop & Fulgor wall oven as well as over-height ceilings, laminate & tile flooring throughout, and air conditioning. CREDIT of $22,504 at completion, One Parking and One Storage locker. Additional suite upgrades include Wine fridge and regular sized parking stall on the upper most level of residential parking! Fantastic building amenities include steam, sauna, squash court, basketball court, amphitheatre and multipurpose gym.